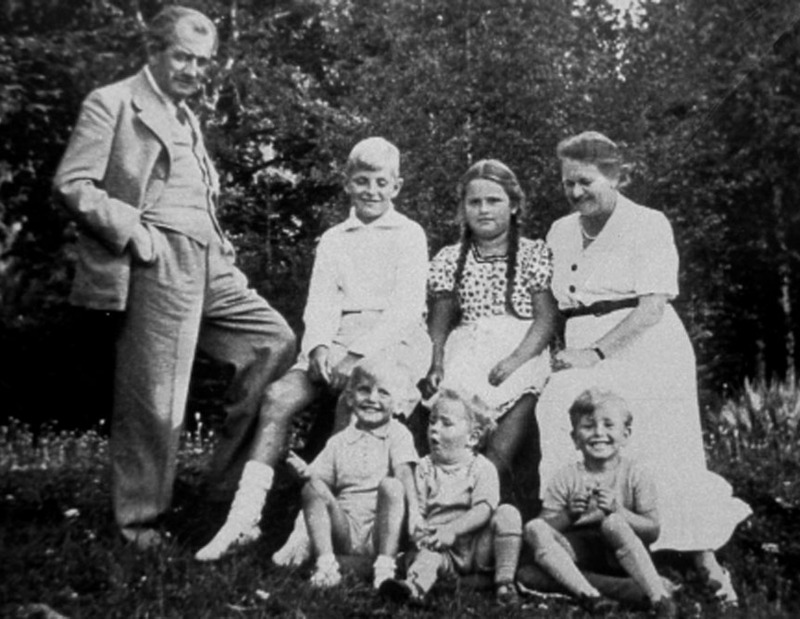 1875 September 3, Ferdinand Porsche, third of five children of Anton Porsche, was born in Maffersdorf, Reichenberg, Austro-Hungarian Empire (now Vratislavice nad Nisou, Liberec, Czech Republic). 1889-1890 at the age of 14 Ferdinand was already performing experiments with electricity. He fitted ice skates with battery-powered lights for example. However, his father tried to forbid his son from busying himself with “such nonsense”. 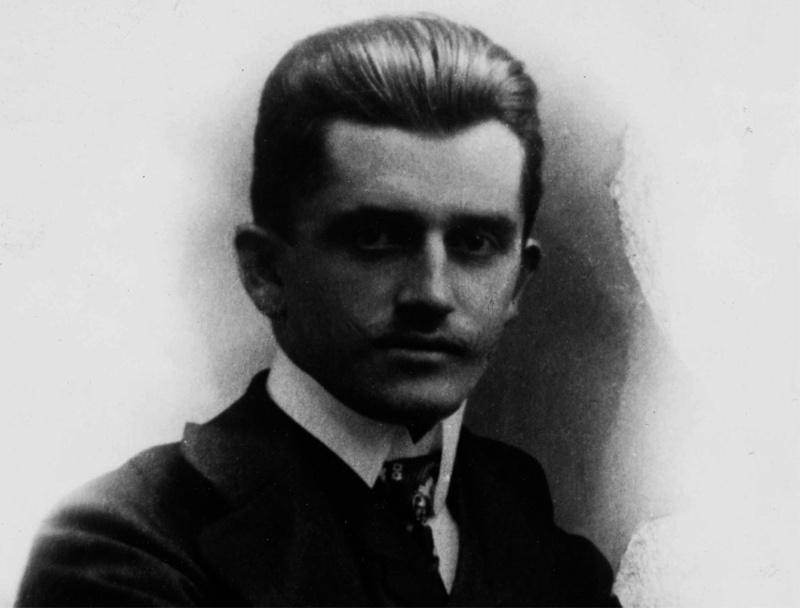 Anton Porsche was the owner of a plumbing workshop and expected Ferdinand to take over the family business after Ferdinand's older brother Anton got killed in the workshop accident. But Ferdinand had other interests. Despite being fascinated by electricity, he completed both his plumber apprenticeship and the state trade school in Reichenberg. 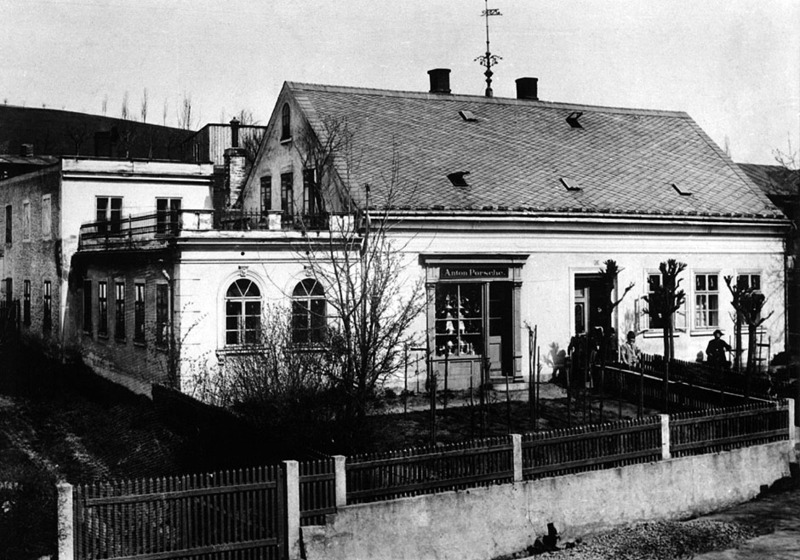 Ferdinand’s acumen in electricity increased to such a degree that by 1893 his family home became the first in Maffersdorf to have electric light. 1893 Ferdinand began working at the electric company Bela Egger & Co. (now Brown Boveri) in Vienna. With his talent he was promoted from a worker to the test centre manager within a few years. 1897 he built an electric wheel-hub motor. 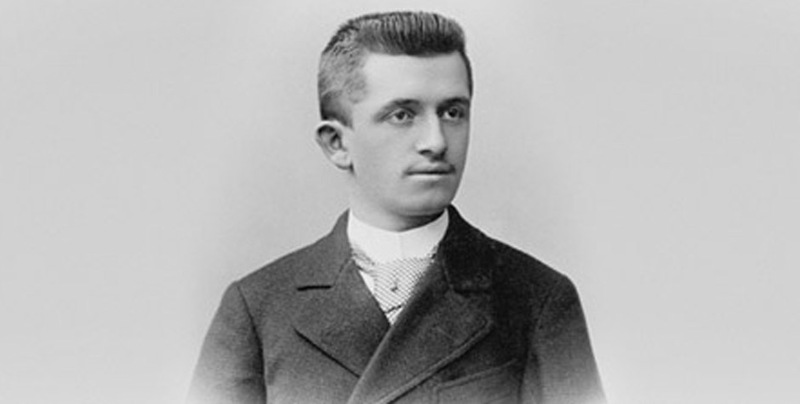 In the same year he started working at Hofwagenfabrik Jacob Lohner & Co., Vienna, in the freshly established car department. The “P1” – designed and built by Ferdinand Porsche – was one of the first vehicles registered in Austria, and took to the streets of Vienna on June 26, 1898. The highly compact electric drive, weighing just 130 kg/290 lb, offered an output of 3 hp. For short periods, up to 5 hp could be achieved in overloading mode, allowing the P1 to reach up to 22 mph/35 kph. The speed was regulated via a 12-speed controller. The first practical test awaited the P1 on September 28, 1899 at the international motor vehicle exhibition in Berlin - a race for electric vehicles over a distance of 40 km was announced. 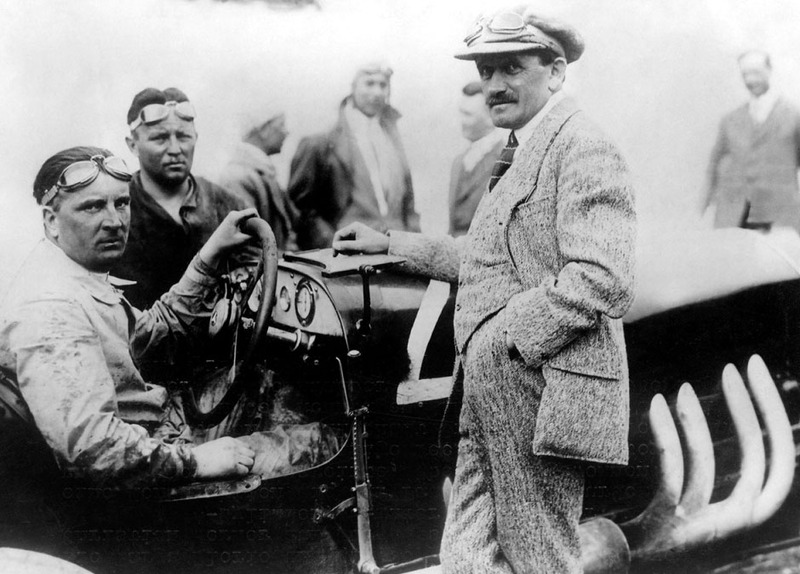 With three passengers on board, Ferdinand Porsche steered his P1 across the finish line as the winner. 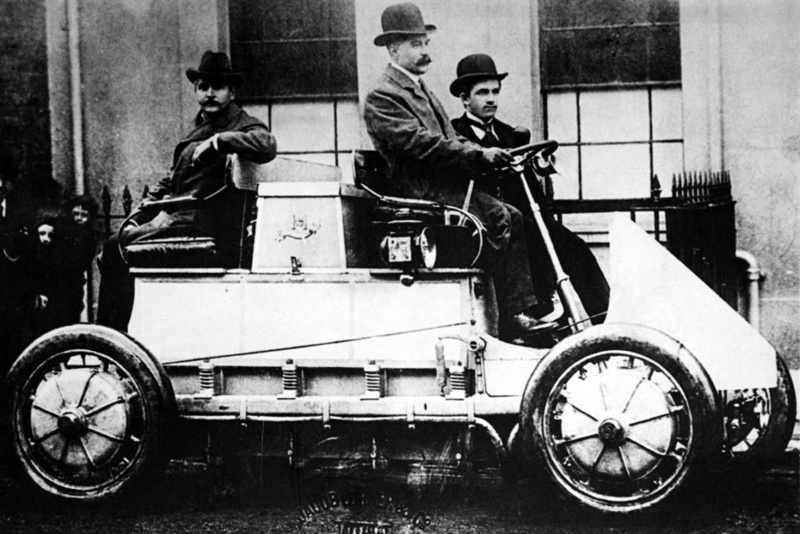 1900 The Lohner-Porsche - a vehicle powered by the Porsche electric wheel-hub motors - was celebrated as an epoch-making innovation at the world trade fair in Paris. 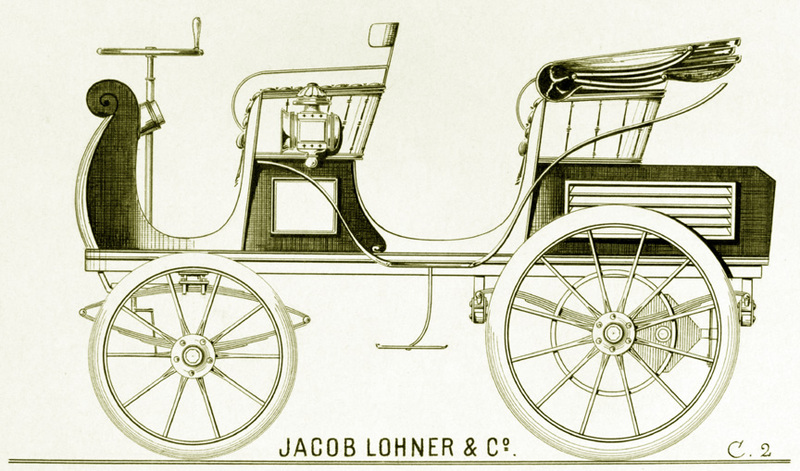 The Lohner-Porsche electric car, a "Chaise" ("Chair") with the internal vehicle number 24000, was exhibited as the only Austrian car at the 1900 Paris World Fair. 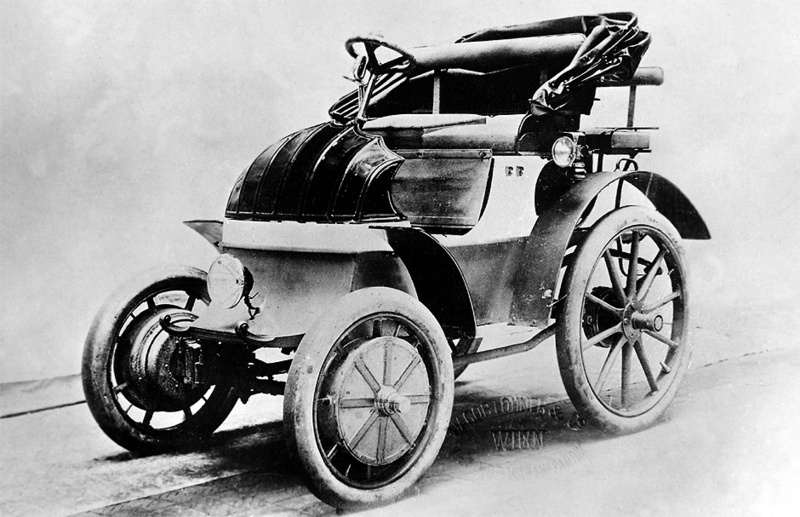 A news report at the time described the development of the first-ever transmissionless vehicle as a revolutionary innovation. The electric motors in the hubs of the front wheels had an output of 1.8 kW at 120 rpm. The 44-cell, 80-volt rechargeable battery with a capacity of 300 Ah gave the car a range of 50 km / 30 miles between recharges. The maximum speed was 50 km/h / 30 mph. The slow speed of the electric motor permitted direct drive and installation in the wheel. The motor operated without chains and thus without mechanical power loss. Consequently, the electric motor was extremely efficient and was almost silent during operation. The total weight of the vehicle was 1205 kg / 2657 lbs. The car could be braked at all four wheels - by the motors at the front axle and with the aid of a mechanical strap brake at the rear axle. 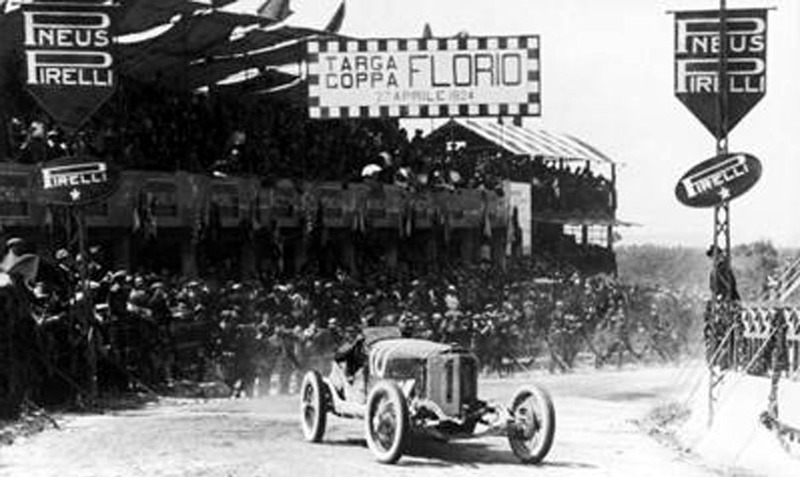 Ferdinand also victoriously tested his designs in races - he won on the Semmering circuit near Vienna in 1900. 1902 as a reserve soldier, Ferdinand Porsche was the driver for Archduke Franz Ferdinand (whose later assassination sparked World War I). Ferdinand drove one of his own designs. 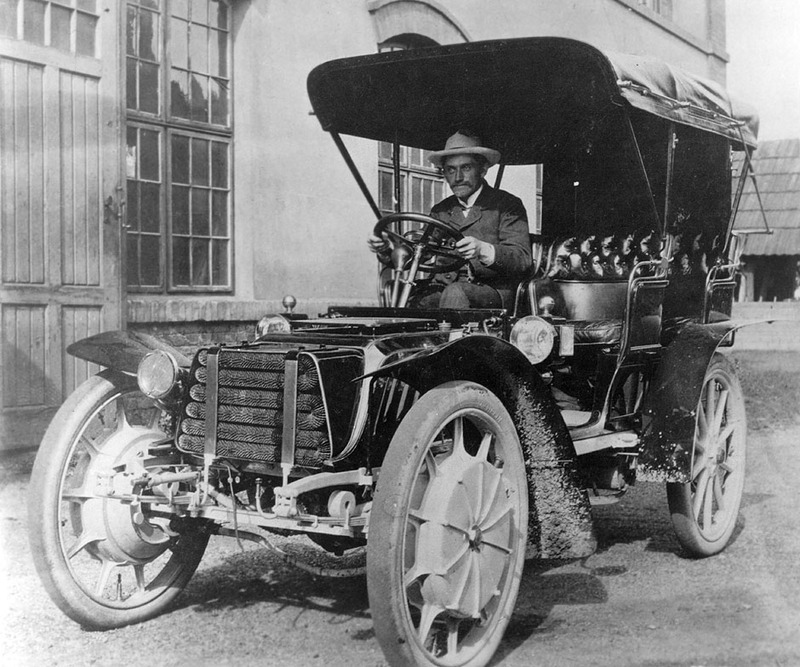 1906 July, after eight years at Lohner, Ferdinand took up the position of Technical Director at Austro-Daimler in Wiener Neustadt. At the age of only 31, he is now responsible for the model range of one of Europe’s largest automotive companies. 1909 September 19 son Ferdinand Anton Ernst (“Ferry”) was born. 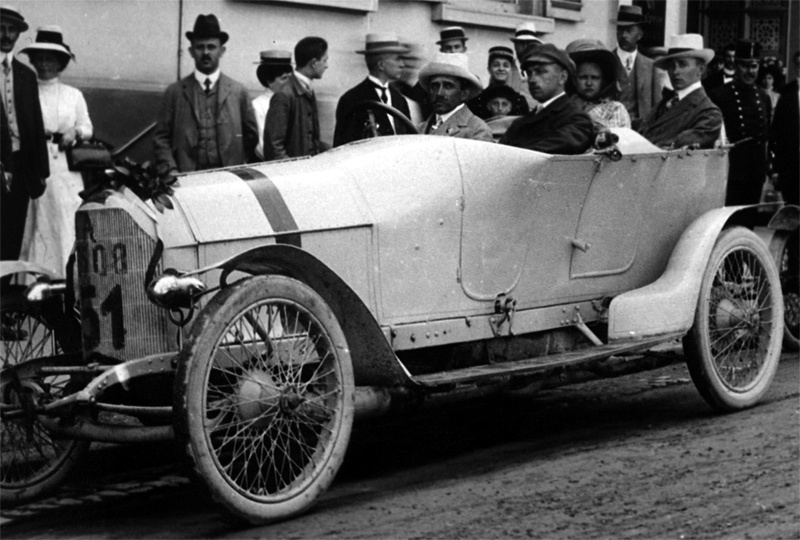 The same day Ferdinand was busy racing at Semmering (40 km from home) in an Austro-Daimler Maja engineered by him. The news about the birth of his son he got by telegram. 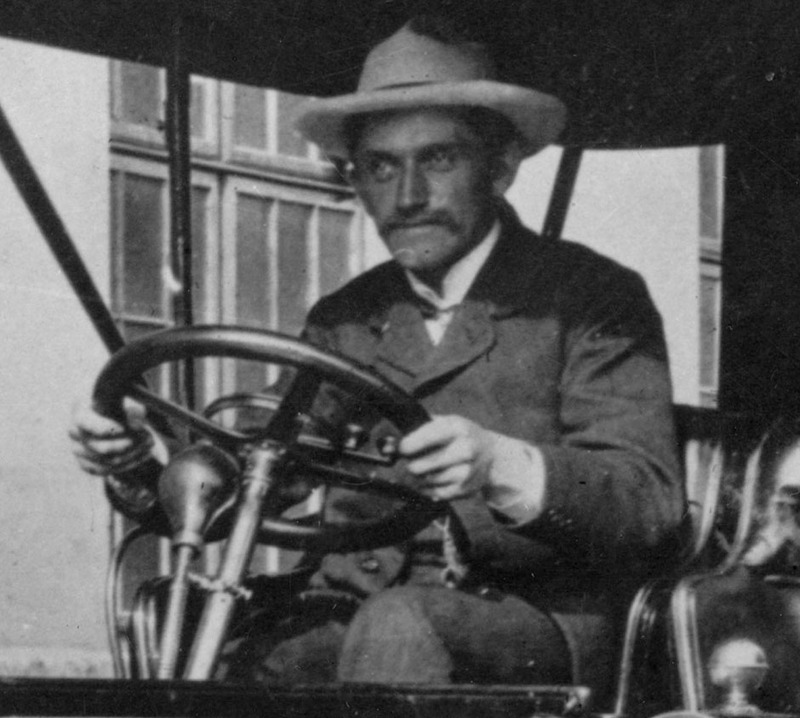 1910 June 2-8, at the wheel of an Austro-Daimler car that he designed himself, Ferdinand won the “Prinz-Heinrich-Fahrt”, which was popular at that time. It was a long-distance test for touring cars with annually varying routes. In 1910 the race was 1945 km long (Berlin-Magdeburg-Braunschweig-Kassel-Würzburg-Nürnberg-Stuttgart-Strasbourg-Metz-Bad Homburg). 1912-1913 F.Porsche developed the "Austro-Hungarian Electric Train" based on an idea from the Austrian Colonel General Ottokar Landwehr von Pragenau. It was subsequently renamed the "Landwehr-Train". Its design was based on the hybrid petrol-electric drive system which Ferdinand Porsche had already developed. The 6-cylinder type-M12 70kW engine drove the generator. Electricity produced by this generator was conducted to all the trailer cars throughout the train and powered the electric motors at every second axle. 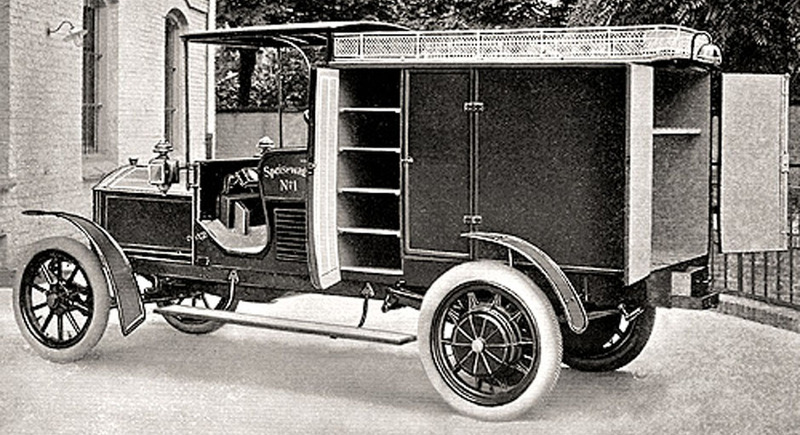 With the aid of the special steering system, each of the up to six trailers precisely followed the path of the motorcar. The Landwehr-Train was thus also suitable for narrow, winding roads through towns and for mountain roads. It was possible to operate the Train on railroad tracks by bolting steel discs onto the solid-rubber tyres. When used on railroad, up to ten trailers could be used. 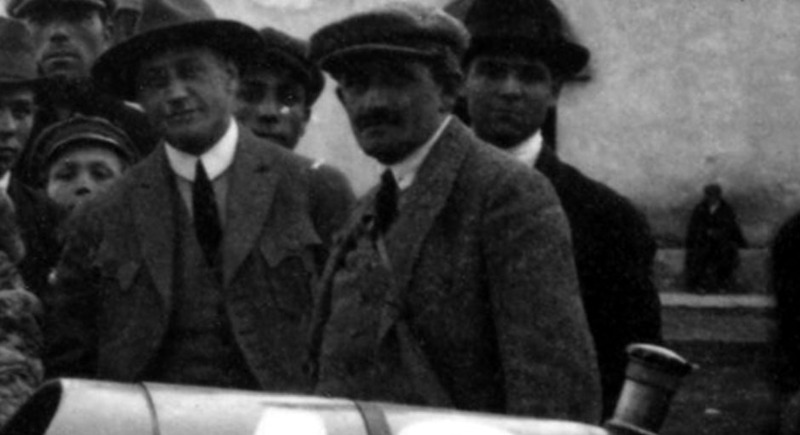 1923 April 30, Ferdinand joined Daimler-Motoren-Gesellschaft in Stuttgart as a technical director and an board member. 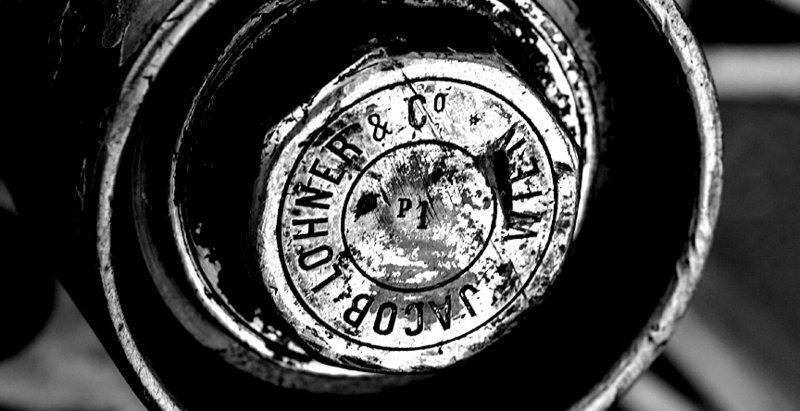 Daimler and Benz companies merged the next year (and from 1926 started producing their cars under one brand - "Mercedes-Benz"). 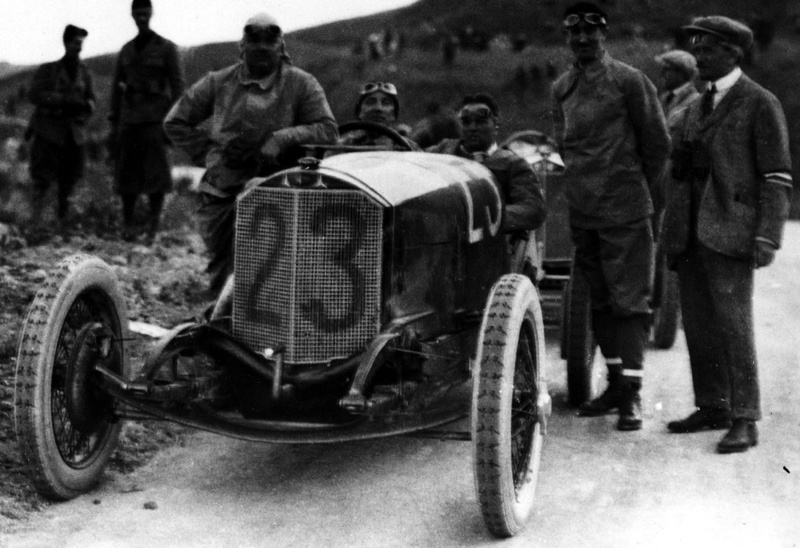 1924 April 27, Targa Florio race was won with the Mercedes PP (supercharged 2.0 inline-4) engineered by Porsche. 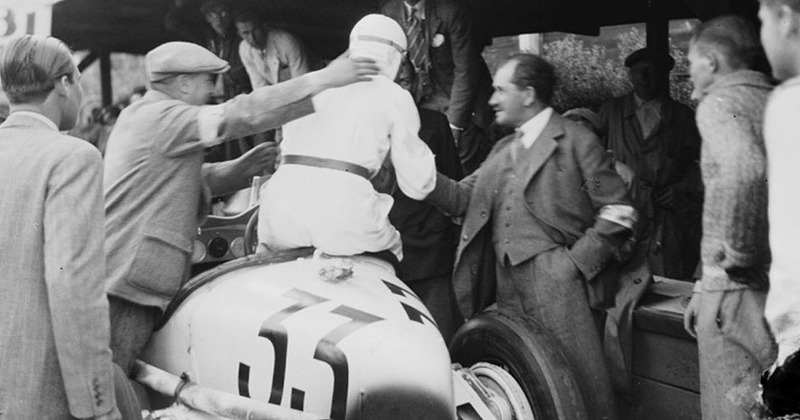 Two years after the sensational success of Porsche's Austro-Daimler Sascha, it was the turn of the Porsche's Mercedes racing car to take first place against larger-engined cars entered by Alfa Romeo, Hispano-Suiza and Peugeot. The PP specs were as follows: 126 hp with supercharger engaged (68 hp without it), max rpm 4500, 4-speed transmission, length 3.8 m, weight 921 kg, top speed 120 km/h. 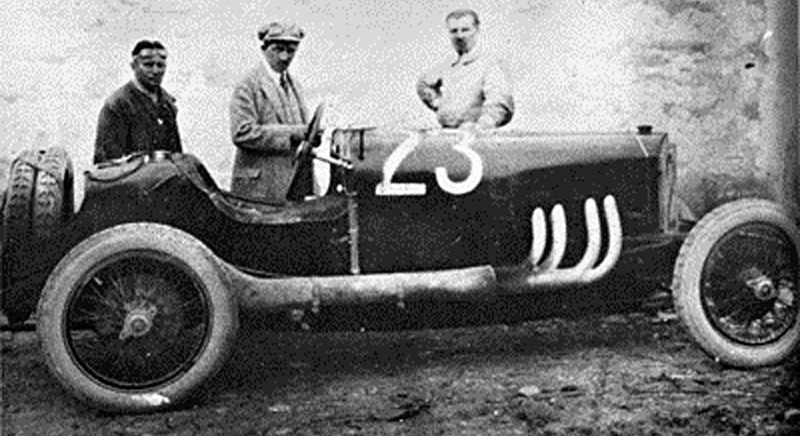 Following the win of the 1924 Targa Florio, the Stuttgart Institute of Technology (Technische Hochschule) conferred the honorary title of Dr. Ing. on Ferdinand Porsche. 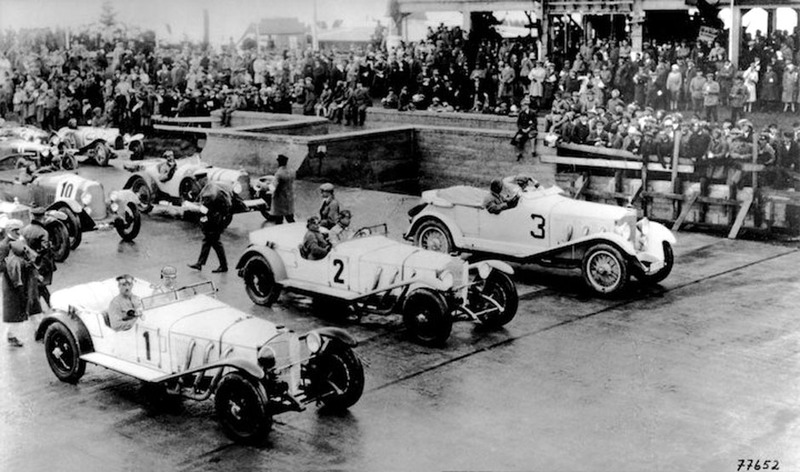 1924 also saw the introduction of the new racing car designed by Porsche, the Mercedes Monza. 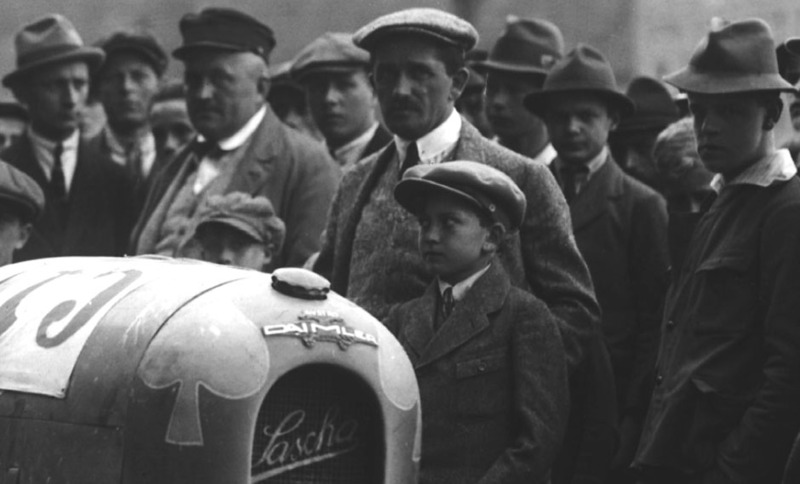 1926 June 28, Daimler-Motoren-Gesellschaft and Benz & Cie. merge to form Daimler-Benz AG. 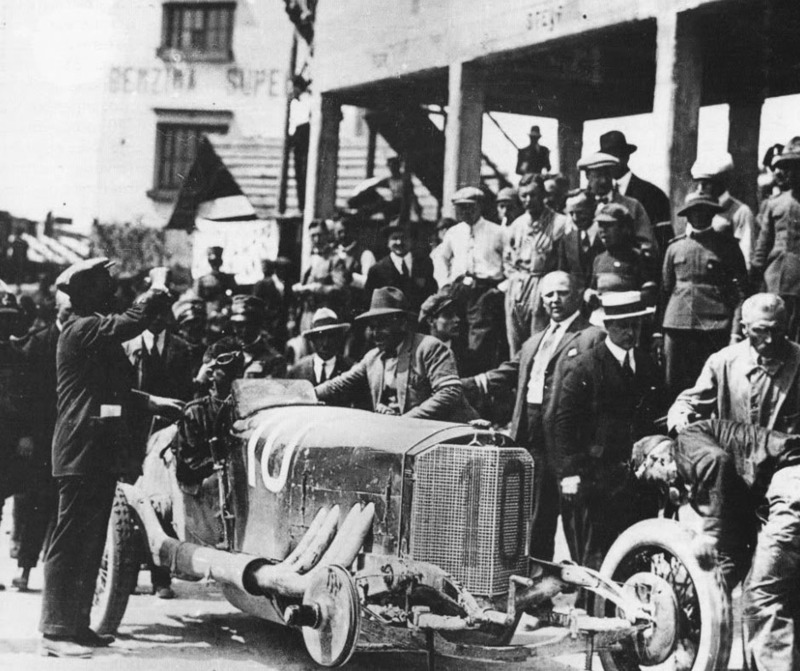 1927 June 19, Mercedes-Benz 26/120/180 "S" enters the German Grand Prix (the first Nürburg-ring race) and S-model cars finish 1st, 2nd and 3rd, Caracciola taking the win. 1928 July 15 German GP at Nürburg-ring saw Mercedes-Benz 1-2-3 win. 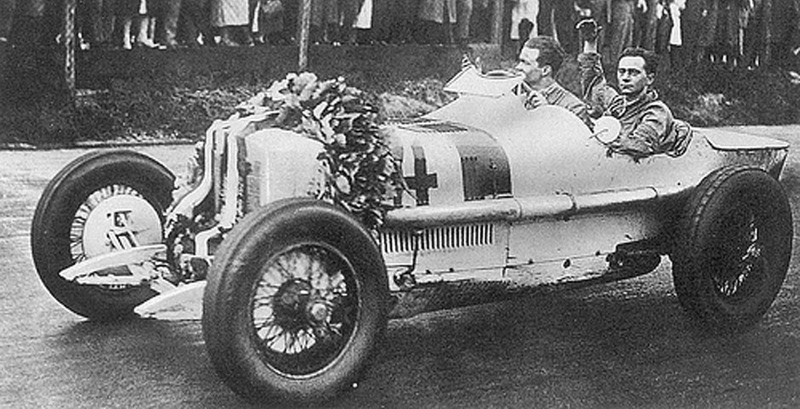 Rudolf Caracciola / Christian Werner taking the win in a Mercedes-Benz 27/140/200 "SS". This is a more powerful version of the "S" with a 7.1-litre engine producing 147 kW and with top speed of 170 km/h / 106 mph. When "S" standed for "Sports", "SS" stands for "SuperSports". In 1928 also the SSK ("SuperSports Kurz"), the short version of SS was introduced with output of 184 kW (from the same 7.1-litre) and top speed of 192 km/h / 119 mph. October 4, the Mercedes-Benz "Nürburg" 460 (18/80 hp), the first Mercedes-Benz production car with an 8-cylinder inline engine, is launched at the Paris Motor Show. Dr.Porsche leaves Daimler-Benz at the end of the year. 1929 Dr.Porsche took up the position of Technical Manager at Steyr-Werke AG in Austria. Grandson Ernst Piėch is born. 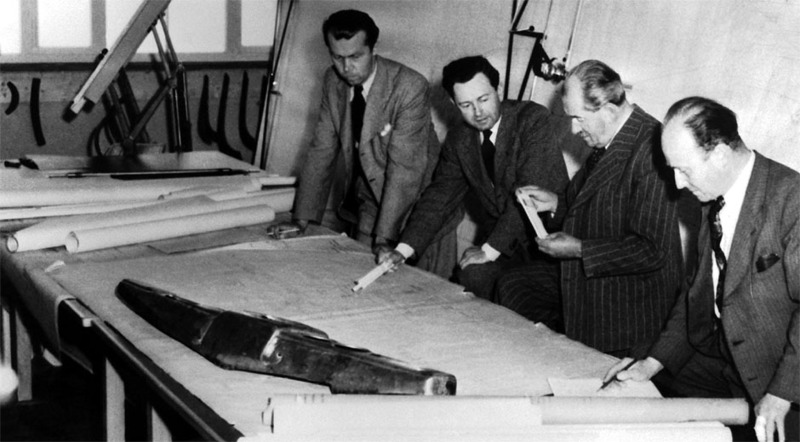 1931 January 1, rental agreement started for Porsche's own design office at Kronenstrasse 24, in the center of Stuttgart (Ferdinand Porsche had actually moved in already in December 1930). The company was officially registered a few months later. 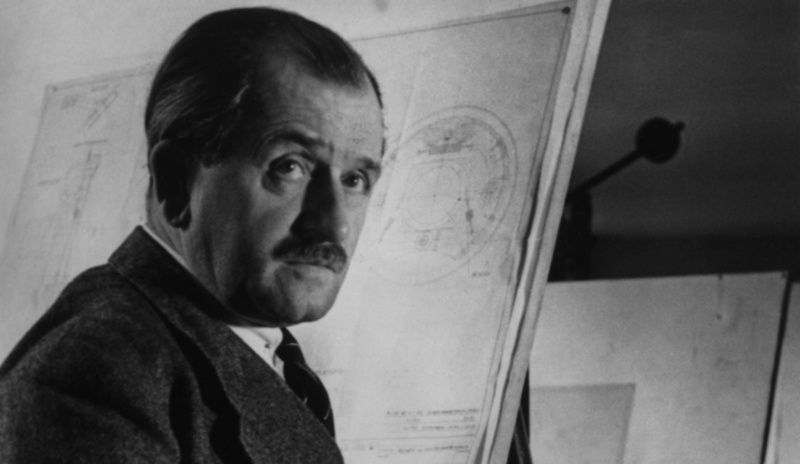 On April 25, 1931, at the age of 55, Ferdinand Porsche finally registered its own company. It was recorded in the Commercial Register as “Dr. Ing. h. c. F. Porsche GmbH, Konstruktionen und Beratung für Motoren- und Fahrzeugbau” (Dr. Ing. h.c. F. Porsche LLC, Design and Consultancy Company for Engine and Vehicle Production). The company was co-founded by Dr. Anton Piëch (10%) and racing driver Adolf Rosenberger (10%). 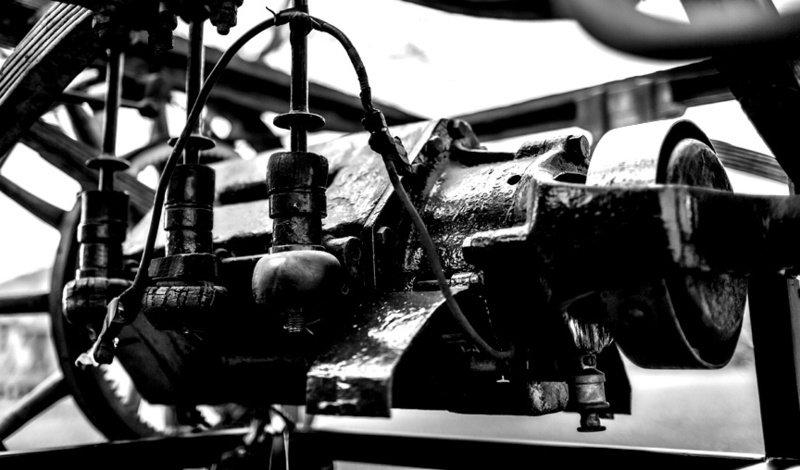 Following the establishment of the company, on August 10, 1931, the torsion bar suspension was registered as a patent, which would have sufficed to commemorate the Porsche name in the automobile world. 1932 Granddaughter Louise Piėch (Daxer) is born. Porsche was contracted by Wanderer to design a supercharged 16-cylinder Grand Prix racing car for the new 750 kg-formula. The same year Wanderer, DKW, Audi and Horch all had financial difficulties and the biggest amounts they owed to Bank of Saxony, which then merged all the brands into one company called the Auto Union. The new company got a logo with four rings (and although only one of these rings symbolized Audi, by the end of 1960's the 4 ring logo became an Audi logo). On November 8, 1932, Porsche founded a special company called the Hochleistungs-Fahrzeug-Bau G.m.b.H. (High Performance Vehicle Manufacturing Ltd.) with its location also at Kronenstrasse 24. The company was founded solely for the purpose of designing the Porsche Type 22 Auto-Union GP race car. 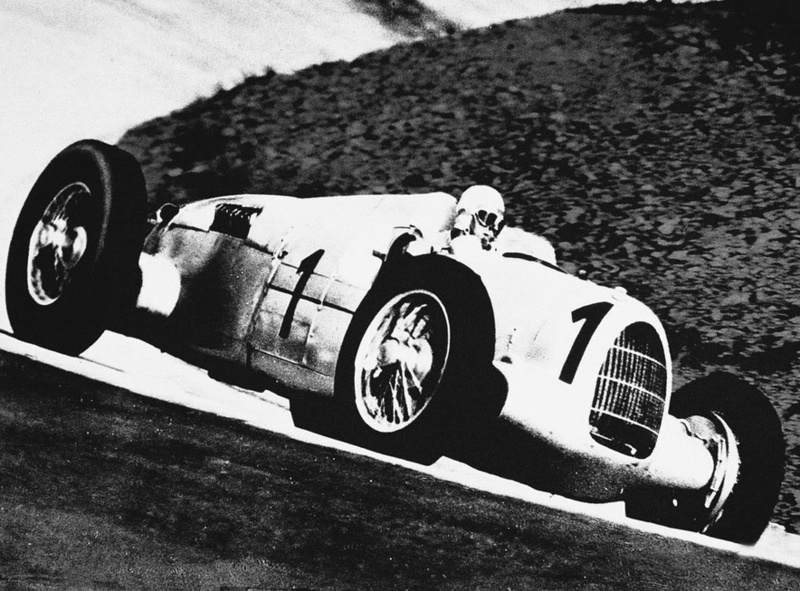 The Auto Union P-wagen (P-car, Porsche-car) later won 32 races out of 64, and drivers such as Hans Stuck and Bernd Rosemeyer set many world records in them. In 1932 Porsche also visited the Soviet Union at the request of Josef Stalin, who offered him a post as chief construction director, complete with generous compensation, a villa, and the transfer of his entire Stuttgart staff. He was also promised unlimited development funds to build a small car. Porsche, who still loved to race his own cars on the race tracks, declined the offer since the European Grand Prix did not extend to Soviet Union. 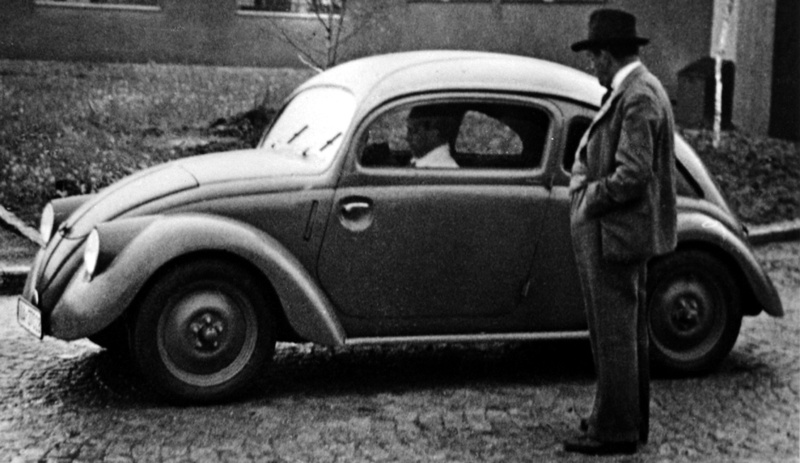 1934 a contract was concluded between the Porsche design office and the Reichsverband der Automobilindustrie - the idea of Volkswagen was born. 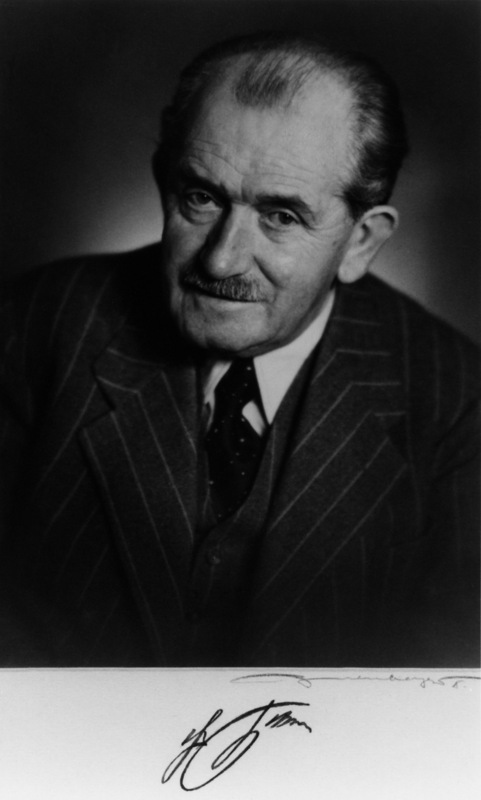 In the following period, Ferdinand Porsche was one of the general managers of Volkswagen GmbH. 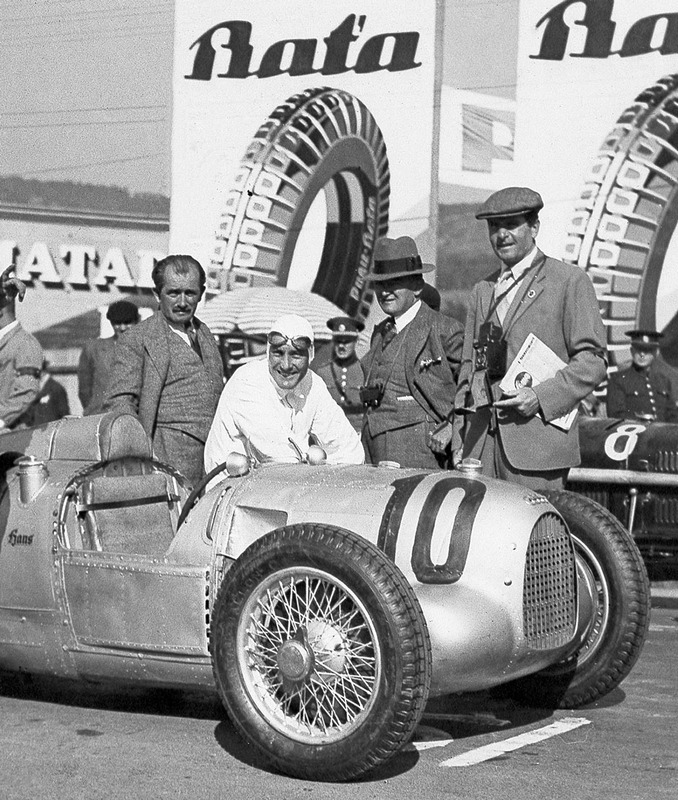 Supercharged 16-cylinder Auto Union racing car (Porsche Type 22) is born. The "750-kilogram formula" imposed no restrictions on the car's design apart from a maximum weight limit of 750 kg. Despite Porsche company founder Adolf Rosenberger's contribution to the development of German automobiles and German auto racing when Hitler came to power, Rosenberger, a Jew, was arrested and forced to leave Germany. 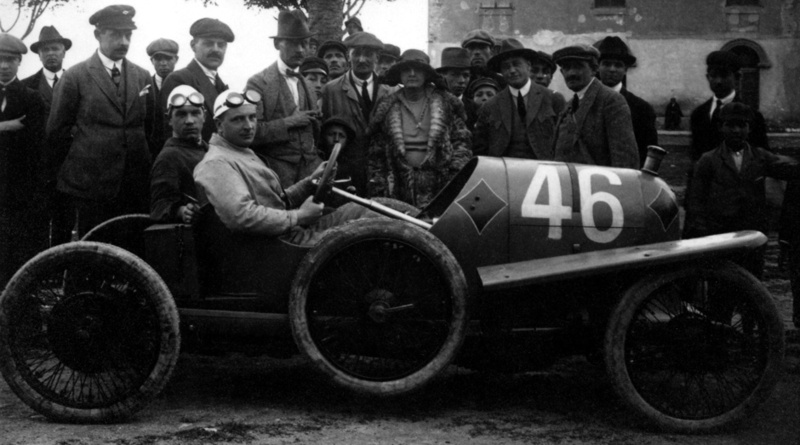 His role in the auto history was written out of history. He emigrated and represented Porsche GmbH in France and later in Great Britain. 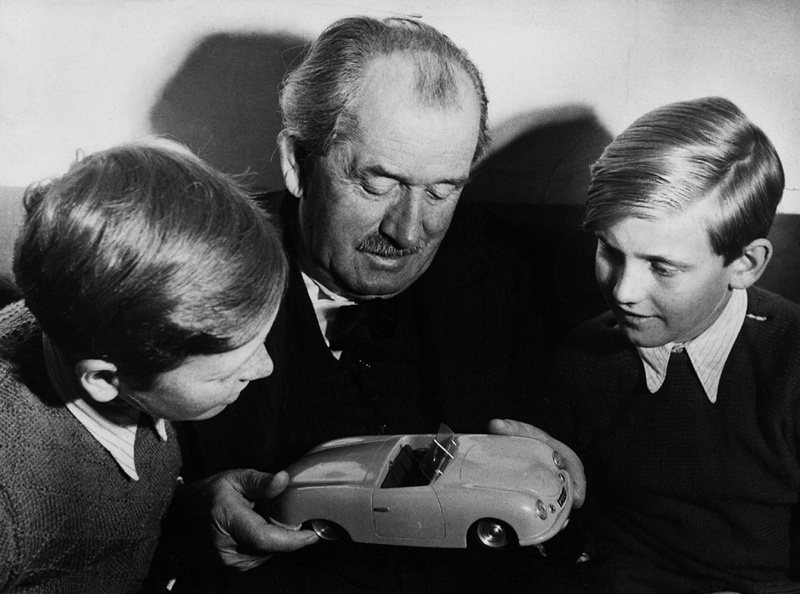 1935 December 11, grandson Ferdinand Alexander Porsche is born. 1936 Received the Wilhelm Exner Medal for excellence in research and science. 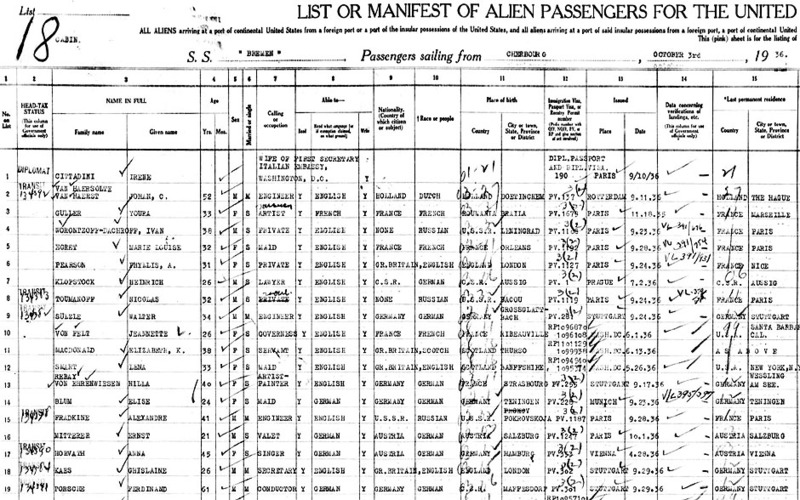 October 3, F.Porsche together with his nephew and private secretary Ghislaine Kaes started their voyage to USA onboard of SS Bremen. Porsche wanted to study American automobile manufacturing to gather information for the Volkswagen plant. While for the whole world Porsche was a constructor, for the SS Bremen he had become a "conductor"
List of prominent persons onboard of SS Bremen October 2-8, 1936: inventor and constructor Ferdinand Porsche, electrical engineer Max Knoll, aeronautical engineer Frank Caldwell, aviator William Douglas Stock Sanday, racing driver and one of the founders of Squire car company Gerard Francis Anthony "Jock" Manby-Colegrave, engineer Ernst Grob, son of bakelite inventor George Baekeland, astronomer Joseph Helffrich, architect John Russell Pope, Telefunken director Hermann Behner, industrialist Richard Merton, Prince of Sayn-Wittgenstein-Berleburg, Swedish prince Sigvard Bernadotte, novelist Johanna van Ammers-Küller, violin virtuoso and composer Fritz Kreisler, conductor, pianist and composer Wilfrid Pelletier, physicist August Karolus, industrialist Frank Vlchek, banker Rudopl Hermann Kissel, American tobacco heiress Mary French Stephenson (wife of spy William Stephenson, a role model for James Bond), screenwriter Edwin Blum ("The New Adventures of Tarzan", 1935), writer and musician Albert Morris Babgy, first American business woman and Coca-Cola board member Letitia Pate Whitehead Evans, writer Ernest Pascal, pianist Youra Guller, painter and Guggenheim Museum co-founder Hilla Rebay von Ehrenwiesen, world's biggest media magnate's wife Millicent Hearst, Broadway producer Gertrude Macy, Titanic survivor and White House music teacher Marie Grice Young and many others to give the idea of the travellers. 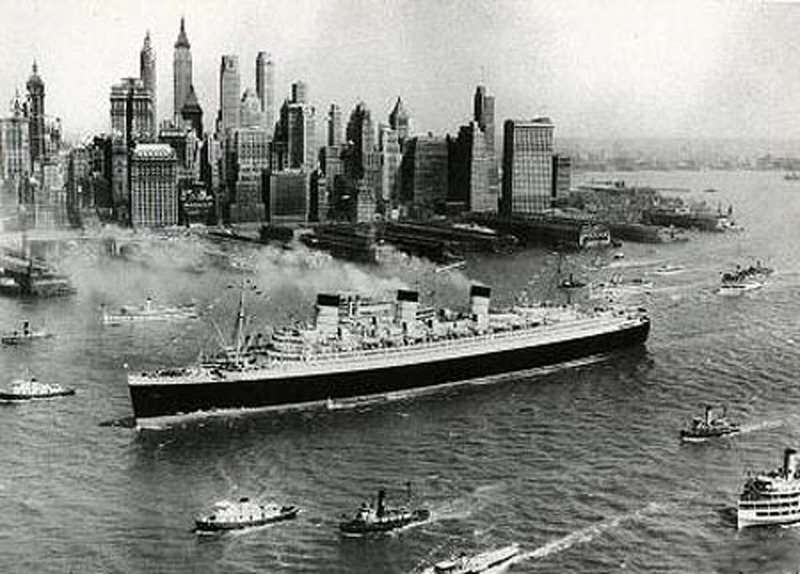 With about 2000 souls onboard, the ship docked in New York on October 8. Porsche visited various car factories in USA and familiarised himself with the latest production methods. He returned to Europe in November (?) on Queen Mary. 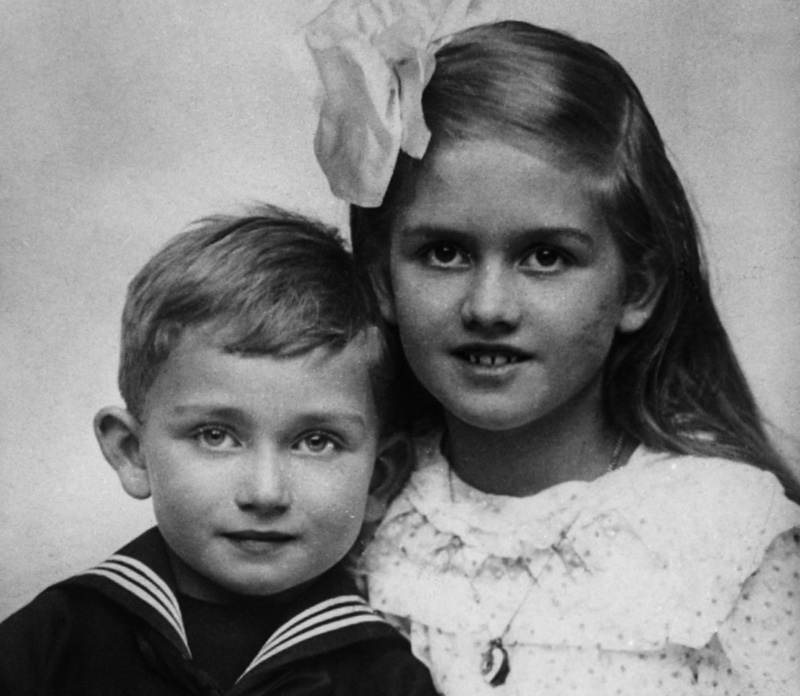 1937 April 17, grandson Ferdinand Karl Piėch is born. 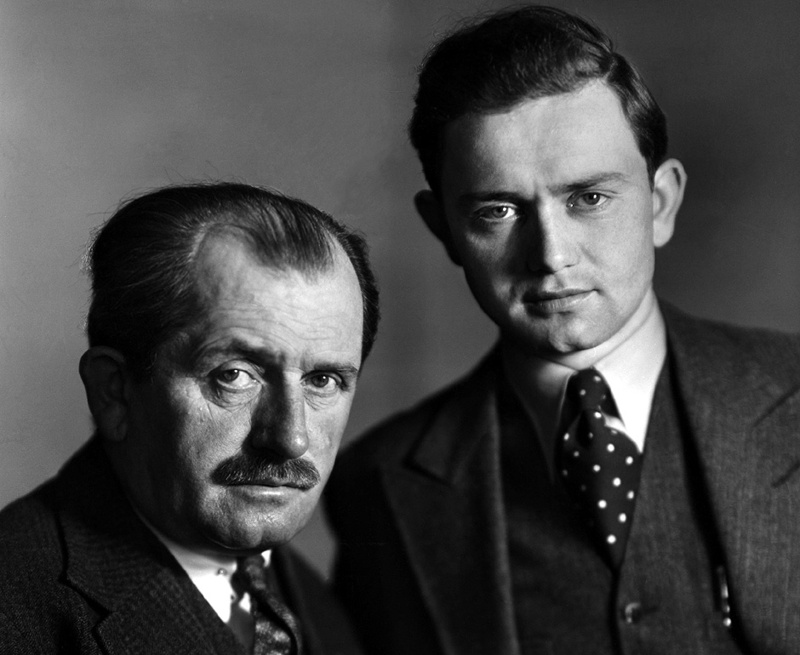 In June F.Porsche makes his second US visit together with his son Ferry and secretary G.Kaes. Estonian car magazine "Auto" 3/4-1937 writes: "People's car (Volkswagen) is a headache! Dr.Porsche, the constructor of the Auto-Union racing cars, said that it is easier to build 10 racing cars than 1 people's car." In 1937 the German Armaments Ministry issued a specification for a heavy tank to Daimler-Benz, Henschel, MAN and Porsche. 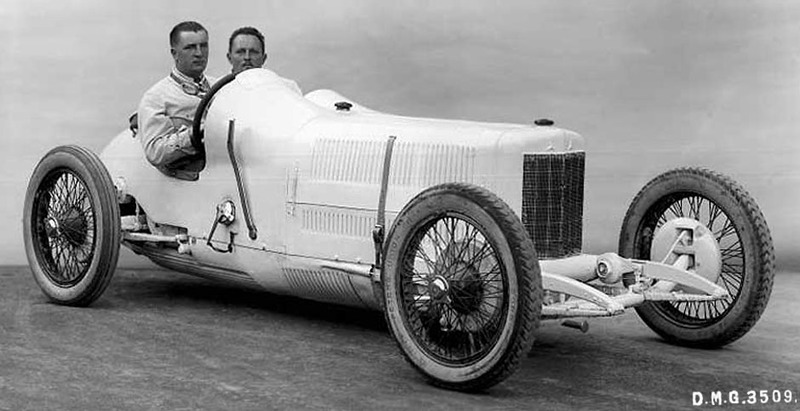 The same year also the Mercedes-Benz T80 (Porsche Type 80) land speed record car project was started backed by Hitler's money, Dr.Porsche's ingenious ideas, aerodynamics specialist Josef Mikcl and driver Hans Stuck. Porsche first targeted a speed of 550 km/h / 342 mph, but later the target was rised. 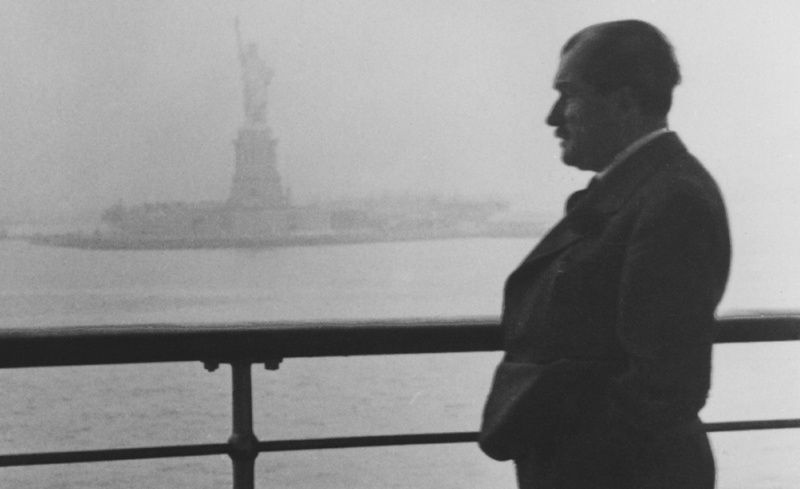 1938 January. 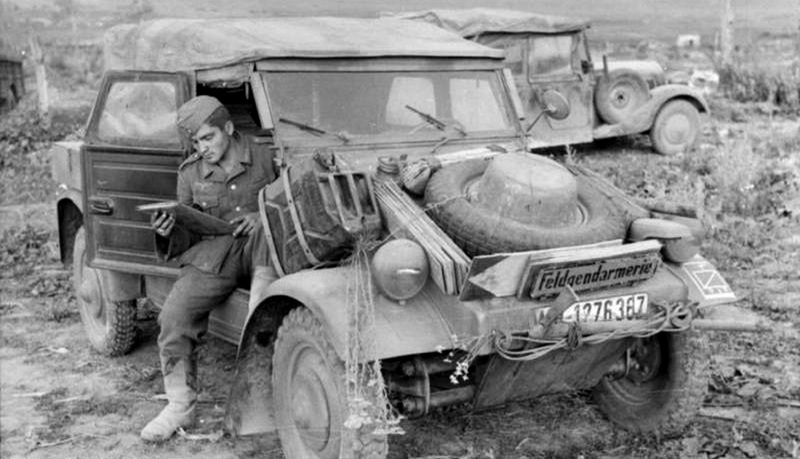 Although Adolf Hitler discussed with Ferdinand Porsche the possibility of military application of the Volkswagen as early as in April 1934, it wasn't until now that high-ranking Third Reich army officials formally approached Porsche about designing an inexpensive, light-weight military transport vehicle that could be operated reliably both on- and off-road in even the most extreme conditions, suggesting that the Beetle could provide the basis for such a vehicle. 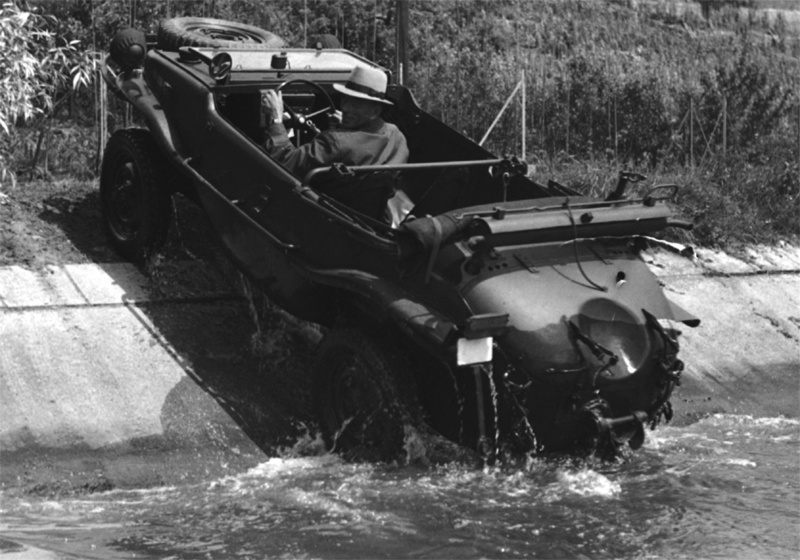 In May 1938 Volkswagen Kübelwagen prototype (Porsche Type 82) construction started (and after 16 months pre-production models were field-tested in the invasion of Poland in September 1939). Estonian "Auto" magazine 5/1938 writes that the KdF-wagen (Volkswagen) factory construction started in May 1938 and after it will be finished, 50.000 workers will be hired. The article writes that no other car in the world has passed so many and so long tests as Dr.Porsche's people's car. Initial information says, the car will weigh only 650 kg, will consume 6-7 litres of fuel on 100 km and standard color will be dark blue!? Acceleration 0-70 km/h comes in 14 seconds which is comparable to the cars with larger engines. Grandson Gerhard Anton Porsche is born on June 5, 1938. 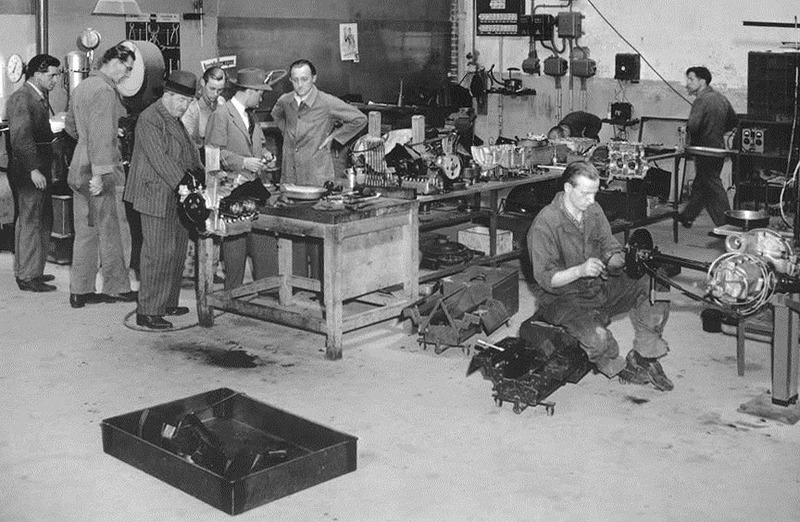 While at the end of 1931 Porsche company had around 20 employees, the number had rosen to around 200 by 1938. At the end of June, Porsche company moved to a new purpose-built building in Zuffenhausen, just 7 kilometres away. At that time the address was Spitalwaldstraße 2. 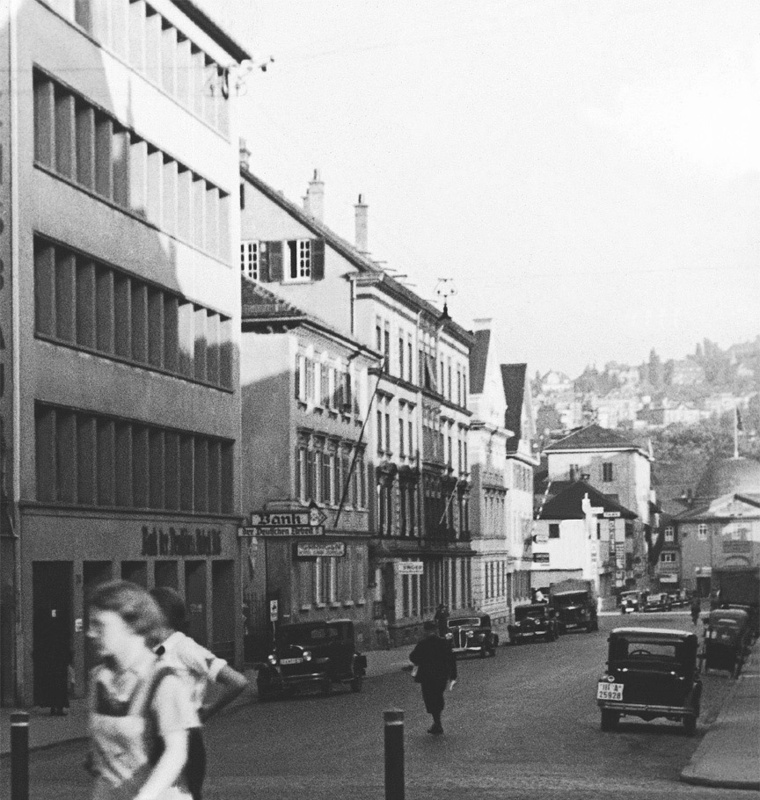 Later the building became known as Porsche Werk 1. 1939 September was scheduled for the Berlin-Rome race that never happened due to the outbreak of WWII, but Porsche had already engineered and built a type 64 racing car. By late 1939 the Mercedes/Porsche land speed record car T80 was also finished - now with the targeted top speed of 750 km/h / 466mph - but also didn't see its record attempt scheduled for January 1940 due to the outbreak of the war. 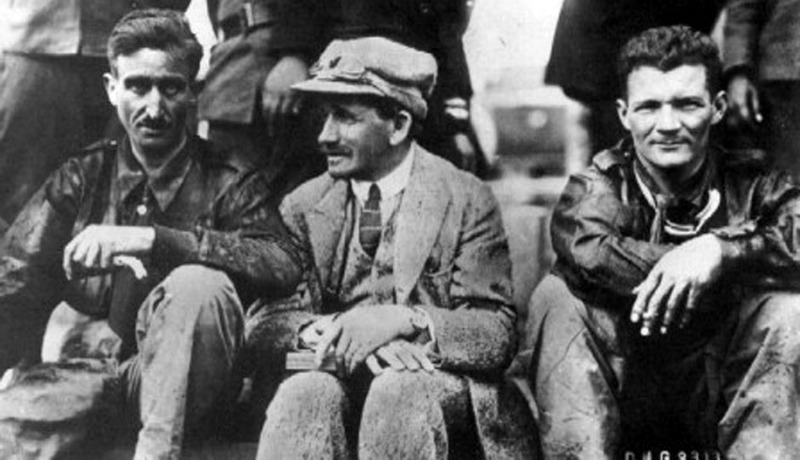 If the record attempt would have actually happened, Hans Stuck would have most probably died in January 1940 (and not in February 1978). A part of Berlin-Dessau autobahn was planned to use and it was only 25-27 m / 83-90 feet wide - imagine that at the projected top speed! 1940 October 29 grandson Hans-Peter Porsche is born. 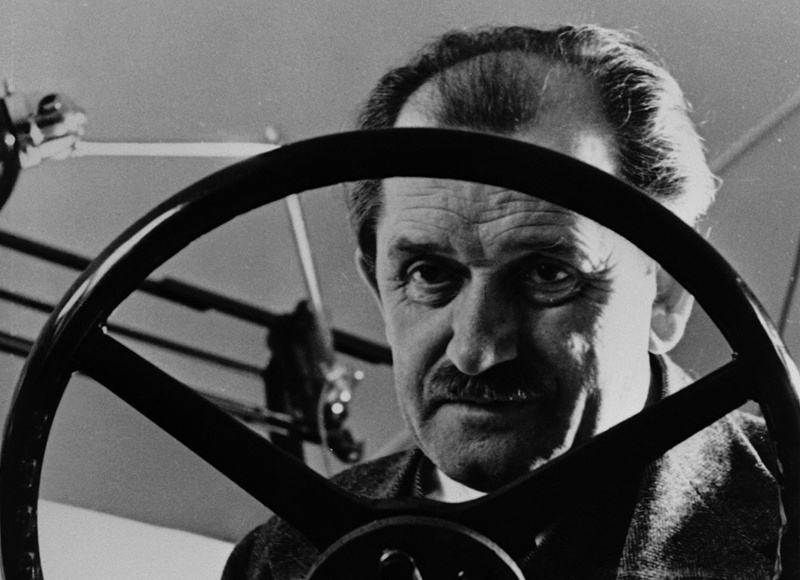 Same year Ferdinand Porsche was conferred the honorary title of professor. 1941 May 26 Hitler ordered both Porsche and Henschel to supply their designs for a heavy tank. The project was known as the "Tigerprogram". 1942 grandson Hans-Michel Piėch is born. 1943 May 10 grandson Wolfgang Porsche is born. 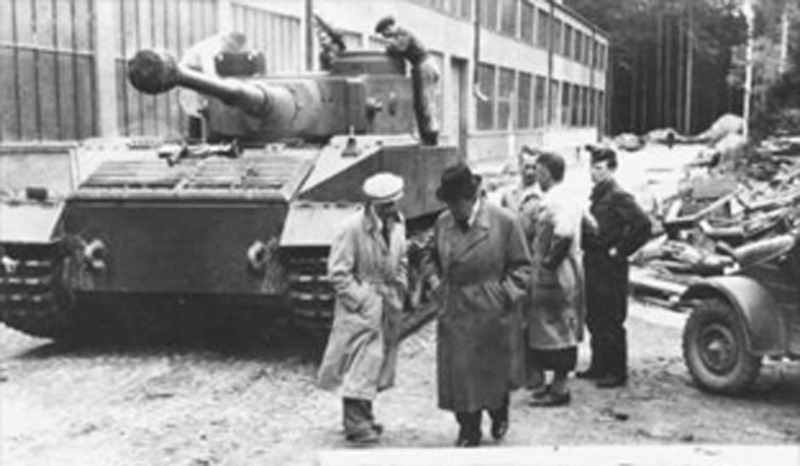 The Porsche heavy tank destroyer Tiger P Elefant went into production. They were originally built under the name Ferdinand, after their designer. 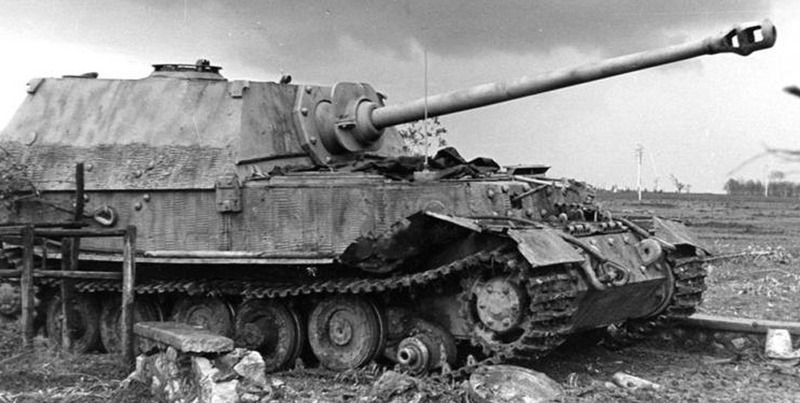 Around 90 tank hulls that were left unused after the Tiger P tank production was terminated, were now built into Elefants. 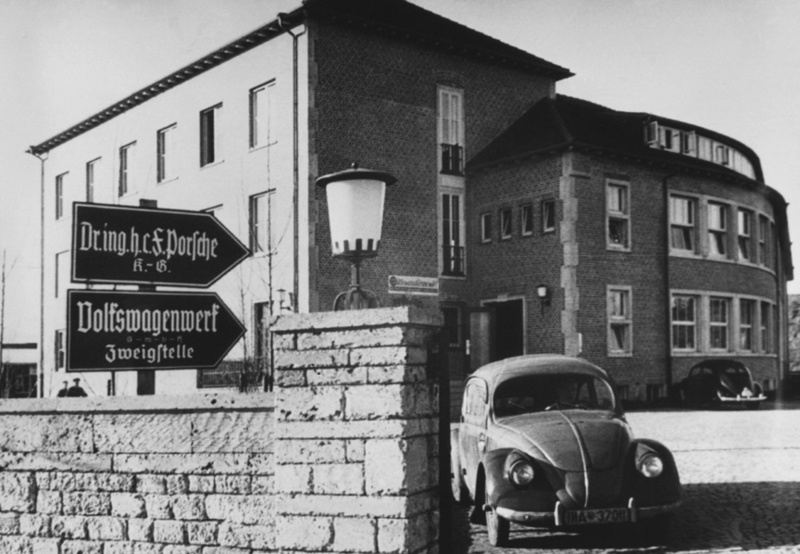 1944 autumn, Porsche design office was relocated 600 km from Stuttgart to Gmünd in Carinthia (Gmünd in Kärnten), Austria. 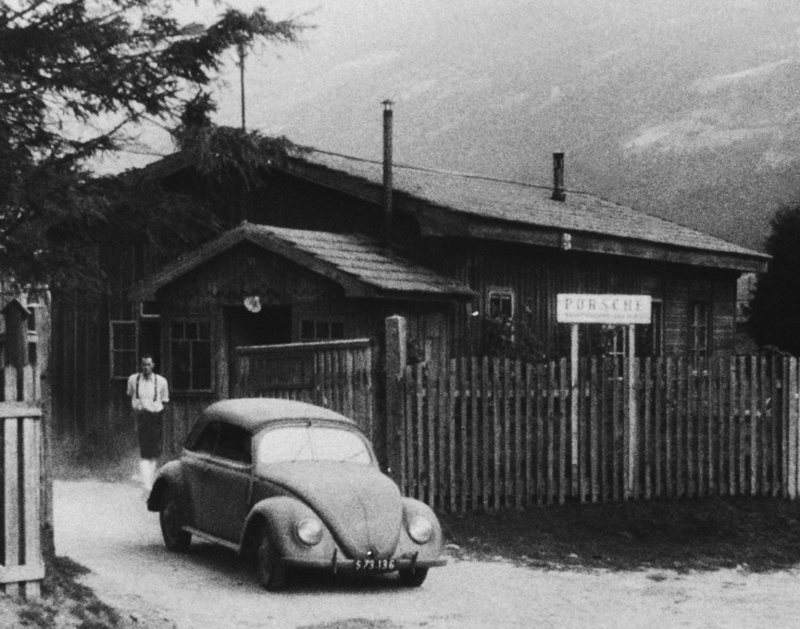 Ferdinand Porsche lived in Gmünd and Zell am See towards the end of the war. 1945 September 2, World War II ended. In November Porsche is contacted by French Army regarding possible contract work for Porsche. 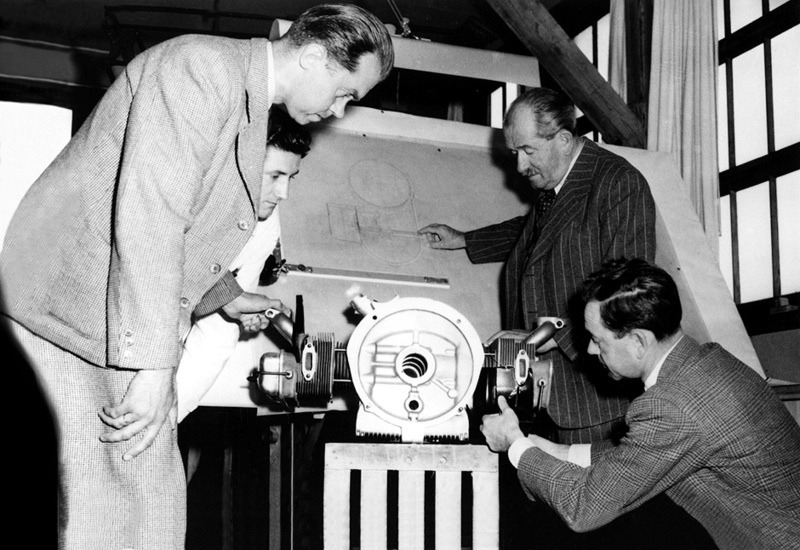 On December 15, Ferdinand Porsche, Ferry Porsche, Anton Piëch and engineer Herbert Kaes go to Wolfsburg to meet the French. They are arrested and taken to jail in Baden-Baden. 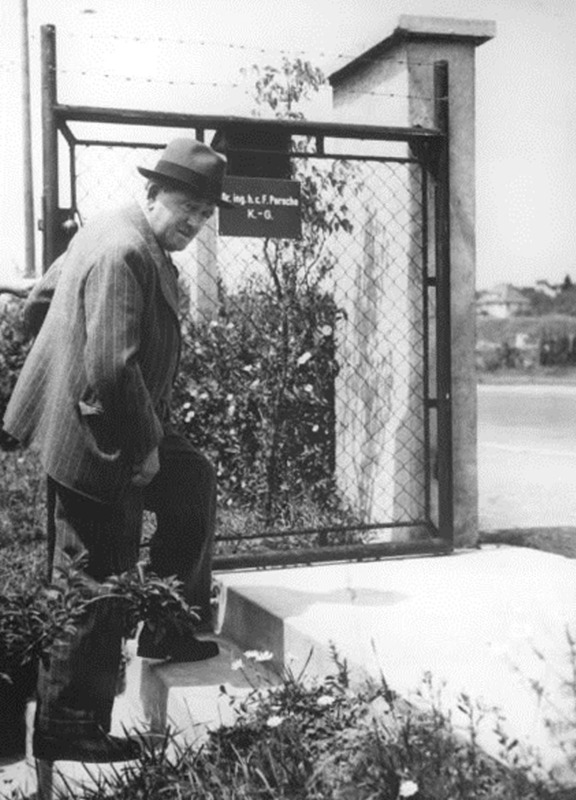 1946 May 3, the imprisonment in Baden-Baden, Germany, ends to be continued in France. 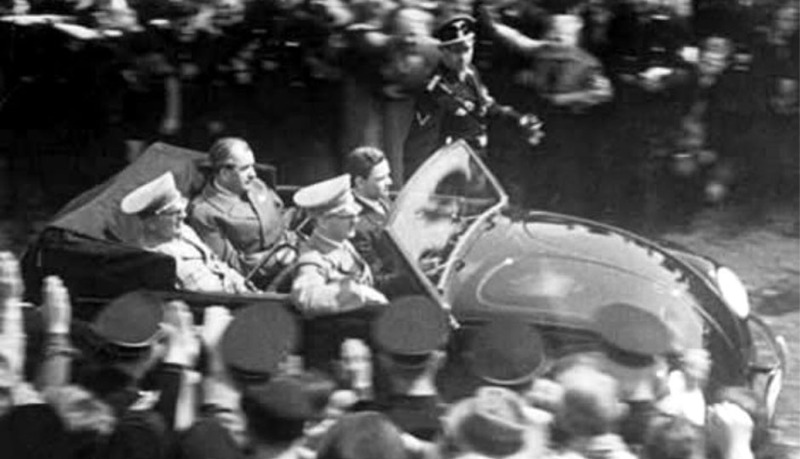 Ferdinand Porsche, Ferry Porsche and Anton Piëch are taken to Paris. 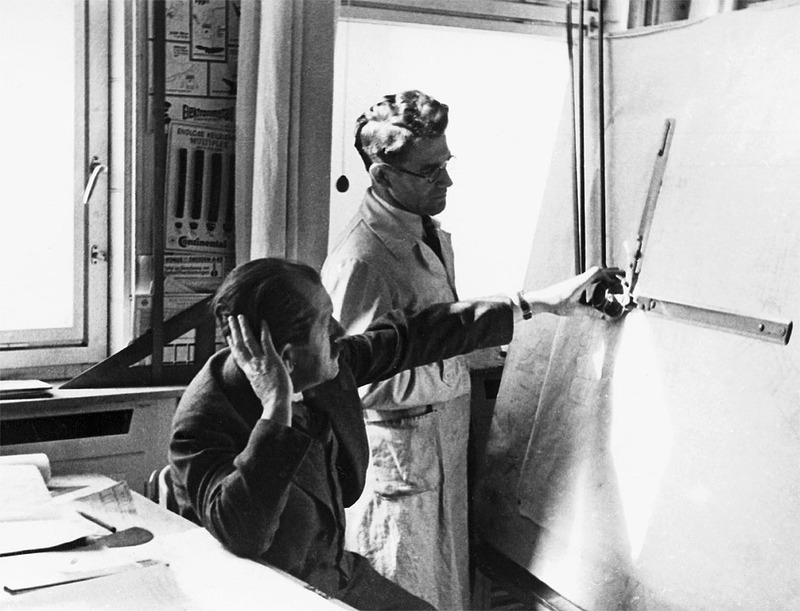 In July Ferry was released, but Dr. Porsche and Dr. Piëch were still used to collaborate on designs for Renault 4CV. The prisoners were relocated from Paris to a medieval jail in Dijon. 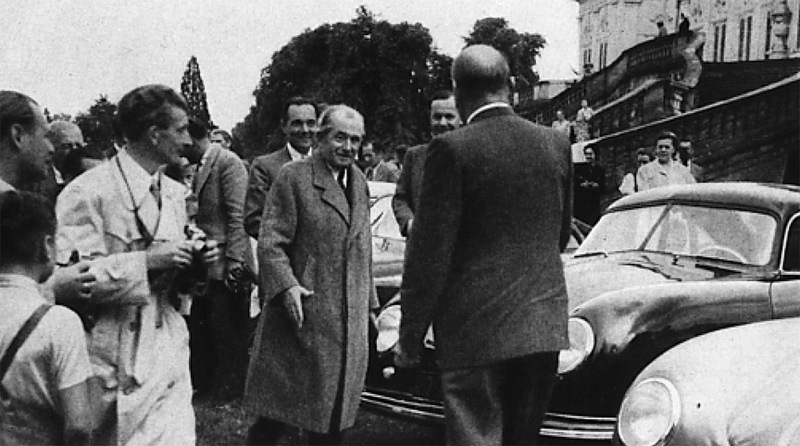 1947 August 1 Ferdinand Porsche and Anton Piëch are liberated after Ferry Porsche had paid the asked amount. 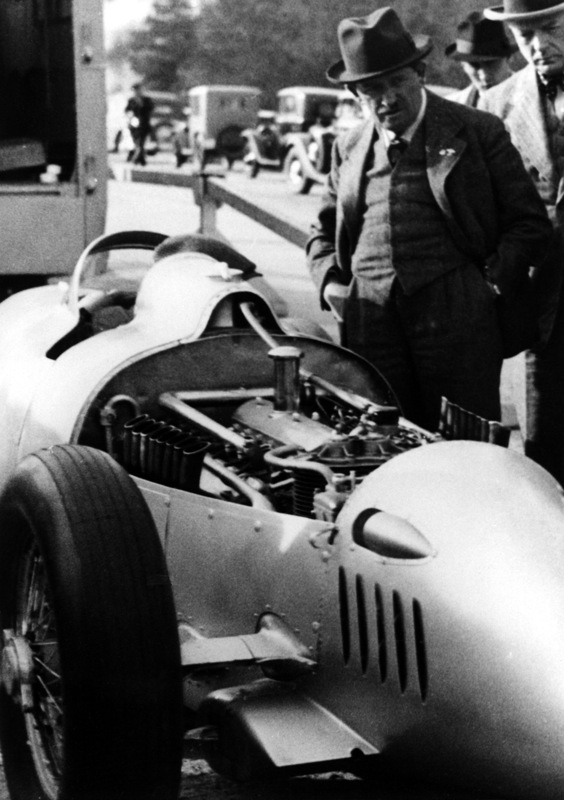 Upon dr. Porsche's return he examined the design of the Cisitalia racing car, which was constructed under the management of his son and which brought the money for the bail. After close observation, he came to the conclusion: “I would have built it exactly the same way, right down to the last screw”. 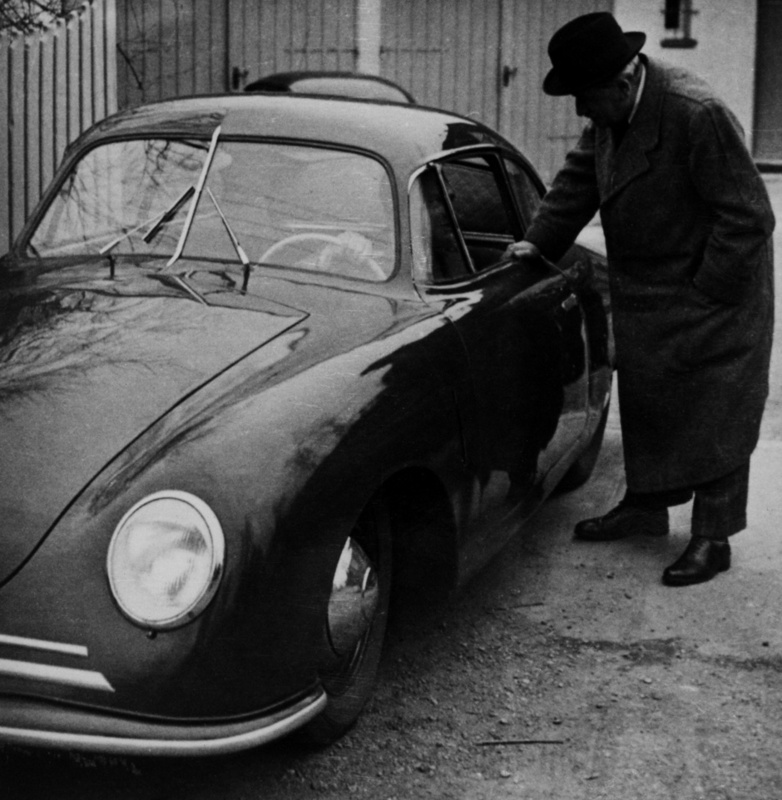 French court later found F. Porsche not quilty in the war crimes. 1948 June 8, first Porsche 356 is road registered. 356 no.1 was a mid-engined tubular steel frame roadster with aerodynamic aluminium body constructed by Dr.Porsche's son Ferry Porsche. 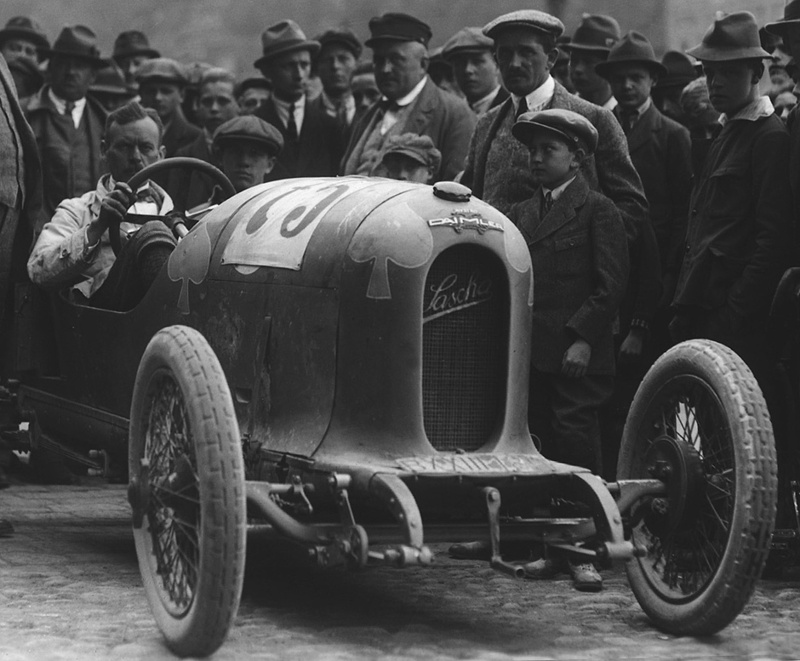 Only one month later, the lightweight mid-engined roadster scores its first class victory at the Innsbruck Stadtrennen. 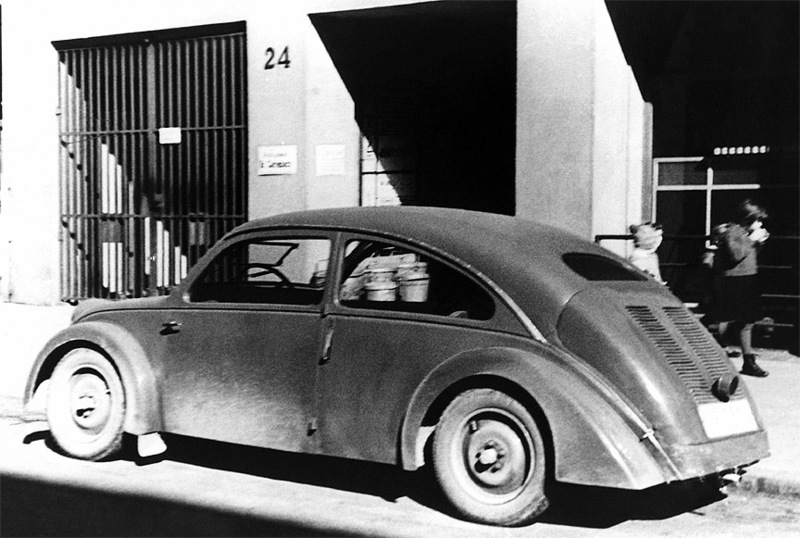 1950 April 6, the first Porsche 356 is produced in the new factory in Stuttgart. 369 cars are made in 1950. 1951 January 30, at the age of 75 Professor Dr. Ing. 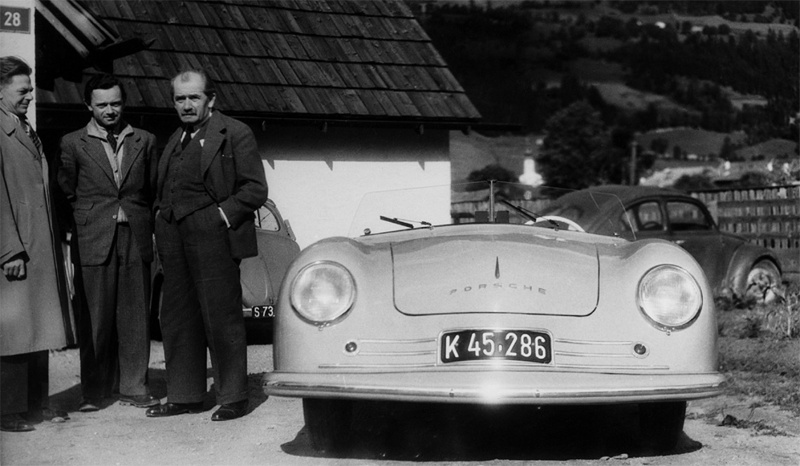 h.c. Ferdinand Porsche dies in Stuttgart. He didn't recover from the stroke he got in November 1950. He is laid to rest in chapel in family estate "Schüttgut" in Zell am See, Austria.